[PDF] The Digested Twenty-first Century | Free eBooks Download - EBOOKEE! 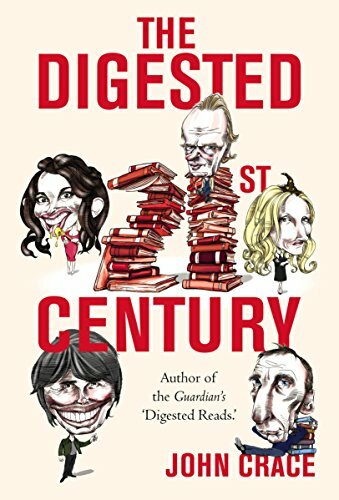 Description: John Crace's Digested Read first appeared in in February 2000 and has been running ever since. Each week Crace reduces a new book - anything from a Booker Prize winner to a Nigella cookery book is fair game - to 700 words in a parody of the plot, style, dialogue and themes. Or lack of them. The Digested Read has not just become an institution for readers it is read and enjoyed by publishers and authors too. So long as it is not their book being digested. A few years ago Crace wrote Brideshead Abbreviated, A Digested Read of the 20th Century. This is the 21st Century. So far. No comments for "[PDF] The Digested Twenty-first Century".